Nov. 8, 2018 is the 53rd anniversary of the Higher Education Act. To mark this milestone, Georgia Southern University will join institutions around the country to celebrate the presence and experiences of first-generation college students, faculty and staff. 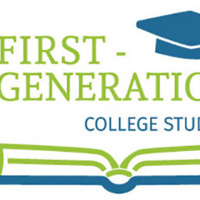 To be considered a first-generation college student means that your parents or legal guardians did not receive a four-year bachelor’s degree. To read more about this day of celebration, you can check out the Council for Opportunity in Education official website here. Armstrong and Liberty Campuses’ TRiO Program wants you to participate in the celebration by first identifying yourself if you are a first generation college graduate or student. Our office will deliver a button to you no later than Friday, Nov. 2, which will read, "Ask Me Why I'm First!” We'd like you to wear your button starting Monday, Nov. 5 up until the day of the actual celebration, Nov. 8! This will give you an opportunity to share your story with a student or fellow colleague when they ask you why you're first! Then on Thursday, Nov. 8, we ask you to wear apparel that represents your alma mater along with your button. To participate in this day, TRIO Student Support Services on the Statesboro Campus asks that all faculty and staff who identify as a first-generation college graduate to wear apparel that represents their undergraduate institution on Thursday, Nov. 8. The office is also in the process of having buttons made that will have “First-Generation College Student” that can be found in Rosenwald 1051. We would like to get a picture of all those who are willing to participate. The time and location of this picture will be sent out at a later date and time.